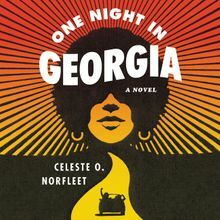 Celeste O. Norfleet is a nationally bestselling author of more than twenty critically acclaimed commercial fiction novels. She is the recipient of six awards from Romance Slam Jam (RSJ), as well as a lifetime achievement award. She was also honored with the BRAB, 2016 Frances Ray Lifetime Literary Legacy Award. She is a graduate of Moore College of Art and Design. She lives in Virginia.